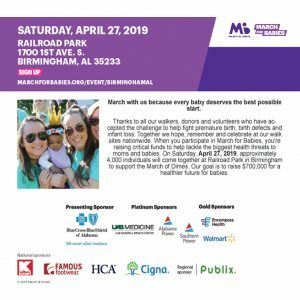 104.7 WZZK invites you to Railroad Park on Saturday April 27th for the March for Babies. You can help ensure a healthier future for babies and mothers thru your donation and participation. For more info and to sign up, click HERE!